Fr. 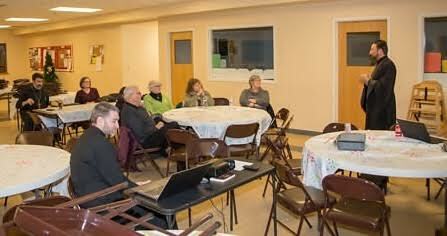 Eric Tosi meets with AAC Local Committee volunteers. The Local Committee charged with planning the 19th All-American Council [AAC] of the Orthodox Church in America held its first meeting in Saint Louis and Kansas City December 14-15, 2016. The 19th AAC will be convened at the historic Saint Louis Union Station Hotel, Saint Louis, MO July 23-27, 2018. See related story. Archpriest Eric G. Tosi, OCA Secretary and Council Supervisor and Deacon Peter Ilchuk, Council Manager, met with Archpriest Timothy Sawchak, Dean of the Kansas City Deanery and Local Council Clergy Chair; Robert Butchko, Local Council Lay Chair; and Kansas City Deanery faithful who have expressed an interest in assisting with planning efforts. An overview of expectations and duties of the Local Committee, which compliments the work of the Preconciliar Commission, was reviewed. Meetings were also held with the hotel staff of the Saint Louis Union Station Hotel. Faithful living in the Saint Louis area who are interested in volunteering in a number of capacities may do so by contacting Father Timothy at tsawchak33@gmail.com or Mr. Butchko at bbutchko1@gmail.com. Additional information on the AAC theme, additional arrangements and the soon-to-be-launched AAC web site will be posted as it becomes available. The first meeting of the Preconciliar Commission, tasked with organizing the 19th All-American Council [AAC] in Saint Louis, MO July 23-27, 2018, was held at the Chancery here during the second week of December 2016. His Beatitude, Metropolitan Tikhon, chaired the meeting. Participants included His Grace, Bishop Paul of Chicago, in whose diocese the AAC will be held; Archpriest John Jillions and Melanie Ringa, OCA Chancellor and Treasurer respectively; Archpriest Eric G. Tosi, OCA Secretary and AAC Director; Deacon Peter Ilchuk, AAC Manager; Archpriest Timothy Hojnicki, Metropolitan Council representative; Becky Tesar, Fellowship of Orthodox Christians in America [FOCA] representative; Priest Benjamin Tucci, Youth Activity Coordinator; and Archpriest Timothy Sawchak and Robert Butchko, Local Committee Clergy and Lay Chairs respectively. According to Father Tosi, Commission members reviewed the AAC planning process and tasks completed to date. A preliminary budget and financing proposal were presented, along with a review of logistical needs and procedures for registration, certification, credentials and reports. 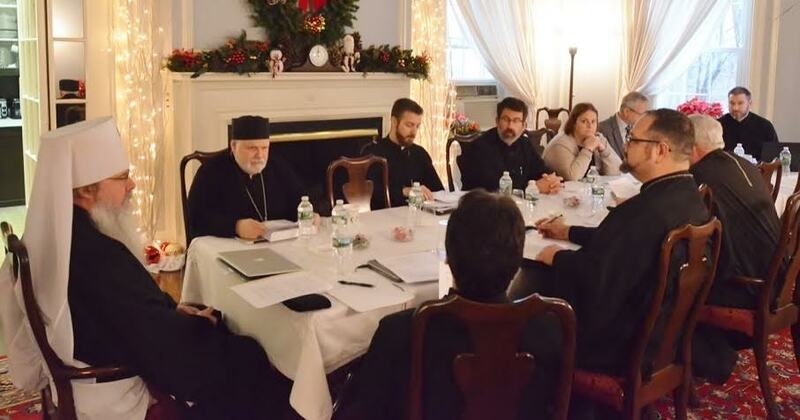 Metropolitan Tikhon chairs Preconciliar Commission meeting. The Fellowship of Orthodox Christians in America [FOCA] will be holding its annual convention in conjunction with the AAC, as had occurred in Atlanta. There will be a youth program at the AAC, and plans were considered with regard to the integration of both activities with the operation of the AAC. During the week of December 11, Father Tosi and Deacon Ilchuk will travel to Saint Louis and Kansas City to meet with local committee chairs, representatives of the Kansas City Deanery, and hotel personnel. The 19th AAC will be held at the historic Saint Louis Union Station Hotel. See related story.